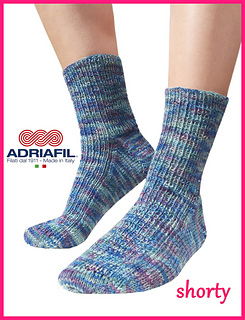 Materials: Adriafil Calzasocks multi-coloured blue (20) – 2 balls or multi-coloured grey (50) – 2 balls. Knitting needles: 5 size 2,5 mm (2US/12UK) double-pointed knitting needles. 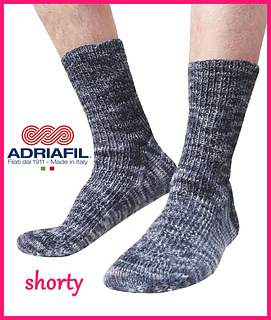 Tension: using 2,5 mm needles, 30 sts and 42 rounds in Stocking st = 10x10 cm (4x4”). Take time to check tension and switch needles if necessary.